*Excellent opportunity, beautiful duplex, in perfect conditions, with parking and in a quiet area of ? ?the center of Tossa de Mar. This duplex has approximately 96 m2, with good finishes throughout the flat, as well as in the kitchen and bathrooms. It is divided into 3 double bedrooms, one of them with bathroom en suite and another courtesy bathroom. It has an independent kitchen and a spacious living room. There is a large terrace which can be accessed from both the living room and the kitchen, which has an enclosure for the laundry area. On the upper floor there is a large room that can have several uses as an extra bedroom, a living room or an office. This room has access to a large solarium with mountain views and a storage room. It has heating and also includes private parking in the same building. 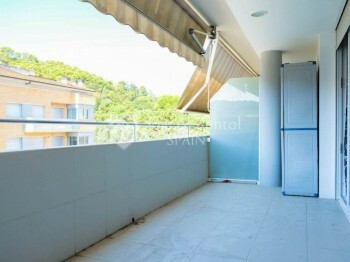 This is ideal for families, both for its finishes, as for its location in the town. Come and visit this duplex, it is ready to move in!